Kids will jump for joy when they play with Jumping Jack™, the world’s cutest bunny! Spin the spinner to see how many carrots you get to pick from Jack’s bunny hill. One of the carrots will make Jack jump, but it’s a different carrot every time. If he jumps on your turn, you’ll win if you catch him. Or, extra rules let every player try to catch him when he jumps. 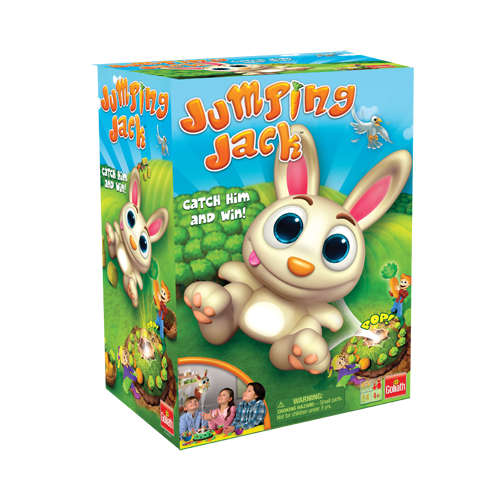 If no one catches Jack, then the player with the most carrots wins. 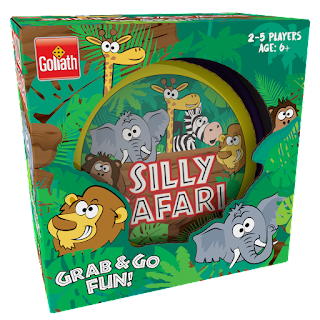 This delightful preschool game teaches hand-eye coordination, taking turns and quick reactions. From the makers of Gooey Louie, Barbecue Party, and Pop the Pig. For ages 4 and up. 2-4 players. Get ready for buckets of fun with Mr. Bucket by Pressman Toy! Scoop up the balls that match your colored shovel and drop the balls into Mr. Bucket as he whirls and spins around the floor. 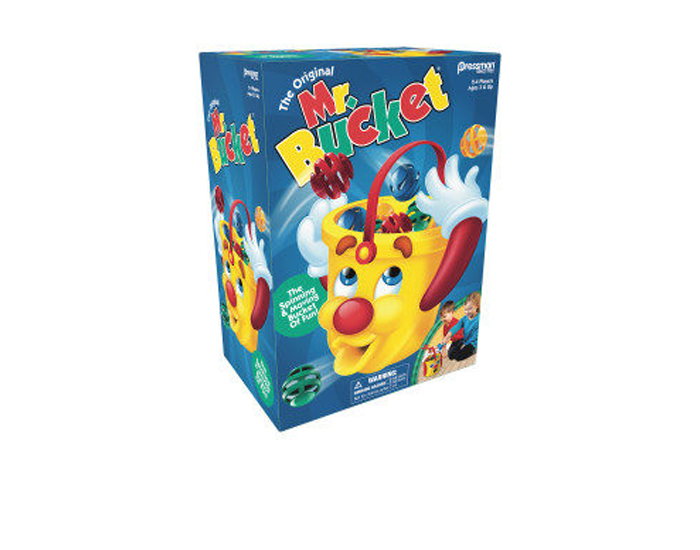 Watch out – Mr. Bucket will try to block your ball with his hands and will even spit the balls right back out of his mouth onto the floor, creating tons of laughter and fun! Get all three of your colored balls inside Mr. Bucket first to win! Made with high quality materials, Mr. Bucket is the original moving chasing racing action game and will have kids up and moving around. Can you scoop up all your color balls and place them back into Mr. Bucket before he pops them out again? For 2 to 4 players, ages 3 and up. Our classic game of Charades is designed especially for kids to play and enjoy! With three levels of clues, kids of all ages can participate. Each card has a clue with a picture, so no reading is required (although the combination of the picture and its corresponding word reinforces early reading skills). Younger players can act out a toothbrush, a cat or a bumble bee! 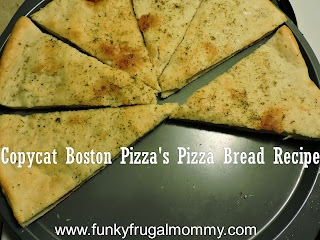 Older children can read the simple words and phrases and act out actions like eating spaghetti or playing guitar! 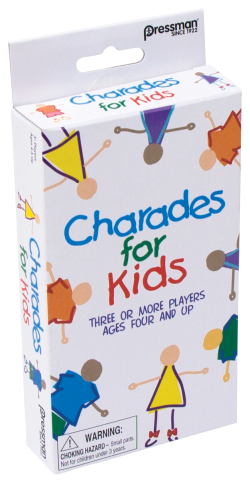 This game is great for the whole family to play together as they try to guess the charade before time runs out! For 3 or more players, ages 4 and up. How exciting to be on safari, trying to find all your favorite animals… but hang on, one of them has wandered off! 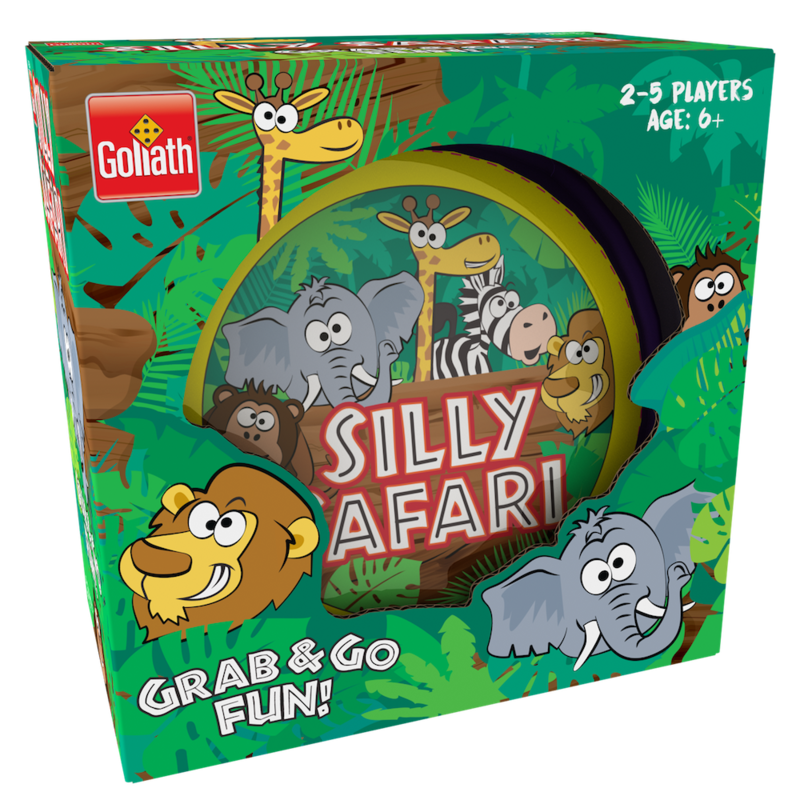 Be the first to spot the missing animal in this fun, frantic card game of observation and matching. Designed storage tin conveniently holds cards for future play. For 2-5 players, ages 6 and up. The #SNAPSTAR squad is a trendy group of besties ready to influence the world, together! Lola, Aspen, Izzy, Echo, Dawn and Yuki are united by their love of fashion, style, food, music and traveling! Download the free Snapstar Studio app in the App Store for iOS and Google Play for Android and get creative! Use the green screen and doll stand included with your #SNAPSTAR purchase to customize the background and features of your #SNAPSTAR! 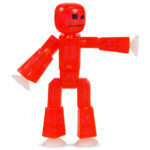 Stikbot is a poseable action figure that can stick to just about anything. They come in 5 two-color variations, so be sure to collect them all! The studio pro comes with 2 Stikbots, 1 Stikbot pet, 1 tripod, 2 prop boxes (blue and green), and 1 green/blue screen stage. 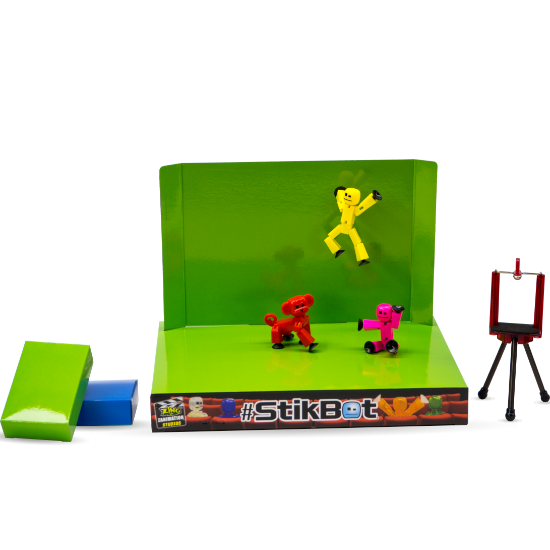 Where will the Stikbot Studio Pro take you?